Originally from Cincinnati, Ohio, director/writer Joshua Borths is known for his innovative and thought-provoking productions. Borths is currently on the staff of Arizona Opera where he stage directs, serves as house dramaturg, and runs the department of education and community engagement. This past winter, Borths made his directorial debut at Opera Memphis with a new, acclaimed production of Hansel and Gretel. As a member of the directing staff for three seasons at the Crested Butte Music Festival, Borths has directed productions of Der Kaiser von Atlantis by Viktor Ullmann, Brundibár by Hans Krása, and The Pirates of Penzance by Gilbert and Sullivan. At Florida State University, Borths directed the regional premieres of David T. Little’s Soldier Songs at Florida State University and La Hija de Rappaccini. While at FSU, Borths also wrote and directed a children’s version of Dvořák’s Rusalka, which subsequently toured twice across Northern Florida in 2013. 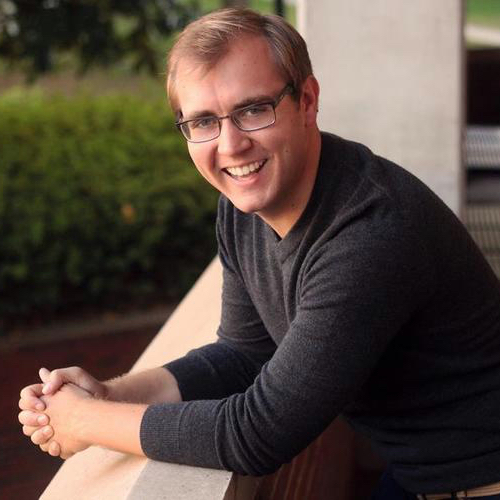 As an assistant director, Borths has worked with several important opera companies including Wolf Trap Opera, Michigan Opera Theater, and the Festival della Valle d’Itria. This summer, Borths will direct a new production of Il barbiere di Siviglia at the Seagle Music Colony in New York, and will debut at Arizona Opera this fall with a new production of Florencia en el Amazonas. Borths holds bachelor degrees in musicology and vocal performance from the University of Michigan, and graduate degree in opera directing from Florida State University.